Fishing is a common activity done in many parts of the world. Fishing is basically catching of fish which could be done by an individual or fish farmers. A lot of techniques of fishing have evolved over the years. Some of those are modern techniques and some dates back since the older times. 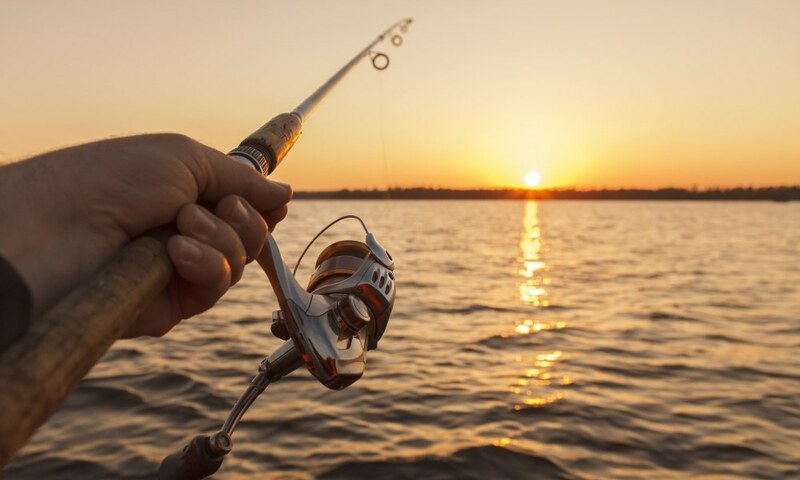 Fishing could be done for domestic consumption, commercial profits or even as a recreational or sports activity depending on the purpose. The most widespread and commonly used fishing method is ‘Angling.’ In this technique, fish hook or an angle is used to catch the fish. Angling is typically done by individuals as a recreational activity. A fishing line is basically like a wire or a chord used for the Angling method of fishing. 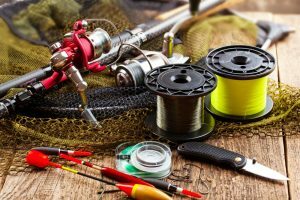 An angler or fisherman may use a fishing line as per his requirement based on its strength, length, thickness, stretch and material. Fishing lines are usually made of silk and nylon. A fishing line is attached to the hook from one side and to a rod from the other. As soon as the fisherman catches a fish through the hook, he winds the fishing line and gets hold of the fish. 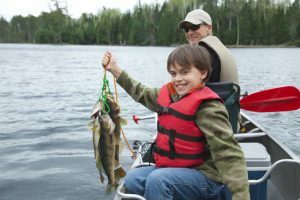 Another commonly used method using the fishing line is the ‘trolling’ method of fishing. In this method, many fishing lines are drawn through the water. These lines are usually drawn in the water behind a moving boat. Small fish known as bait are tied to the fishing lines to attract the larger fish. This method is used to catch a larger number of fishes at once and is used both for the commercial and recreational purpose. 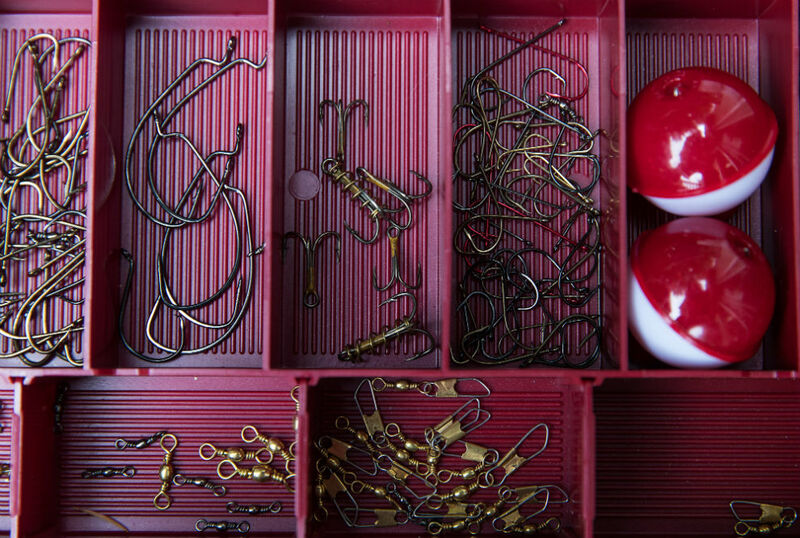 The fishing line has been evolving and advancing through the years. 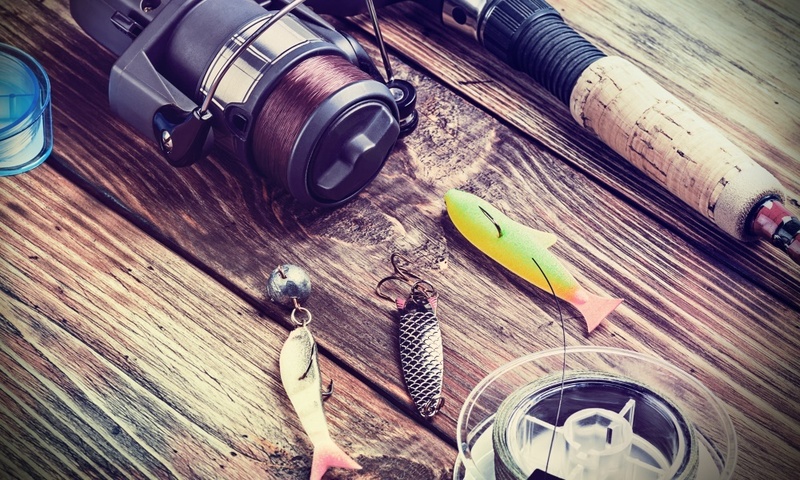 Many types of different materials have been used in the manufacturing of the fishing line since the older times till this day. In the early days, the fishing lines were made of catgut. Later on, some advancement was seen, and silk was being used in the making of the fishing lines in the 1700s. 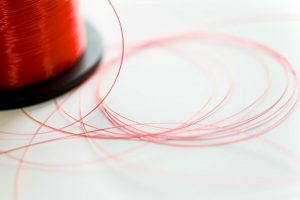 In the modern days, the fishing lines are generally made up of artificial materials such as Polyvinylidene Fluoride also known as Fluorocarbon, Nylon, Polyethene, Dacron and Dyneema. 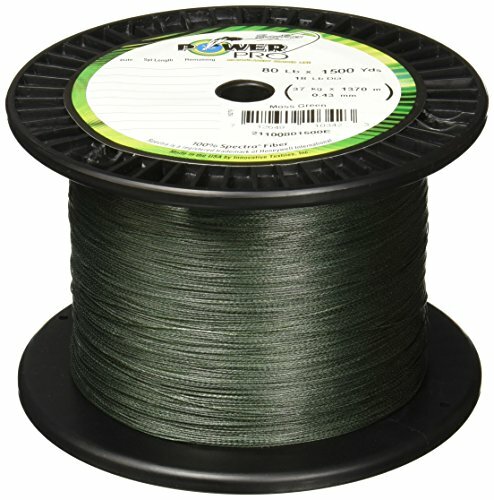 The monofilament is usually made of nylon is only a single strand or a long filament. It is a lesser expensive type and widely used among the fisherman due to its buoyant and stretchable qualities. Its diameter is usually fragile, which results in tying a strong knot that stays in its own place. It has a great potency for catching a comparatively large fish up to 15 pounds. It is stretchable and is floatable. 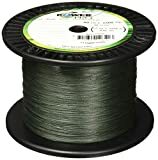 Other than using as a fishing line, it can also be used in tying balloons and lights in parties, bundle up woods sticks, tent fastening, or even tow a car. It’s quite reasonable and cheap in price. 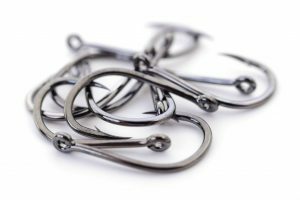 Monofilaments are very flexible which makes its use very friendly and is the best for many fishing conditions. It’s very well manageable and can be effortlessly cast. Monofilaments are very stretchable; it makes you rely somehow on mono if anytime you place the hook tight. Also, it avoids the hook from destructing hole in the fish’s mouth. So it’s better for beginners to use mono. It has the ability to absorb the shock, and it has real shock strength that guarantees that it can tolerate the resistance of fish caught. Another type of similar fishing lines are made of Fluorocarbon. These lines are nearly invisible in the water to the fish and make catching them much easier. 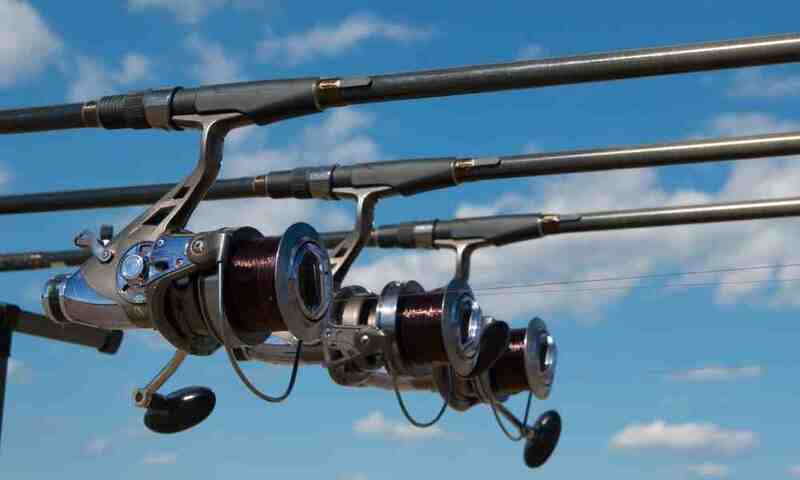 Fluorocarbon is relatively new to the fishing line market. It is continuously capturing the market. It’s made of heavy and dense material thus, it’s heavier than water, so it sinks and thus let the lure and bait dive deep inside the water faster. It’s made with an idea to be disappeared under water, and this is how it works practically. It has the same light refractive index as water, means light does not reflect back; It is highly resistant to logs rocks and docks abrasion, etc. Braided fishing line is a much stronger fishing line as compared to the monofilament and other lines. It is twice as strong for its given diameter and is used for its high knot strength, flexibility, and immense power. Braided lines are very useful for deep sea fishing because it has a great resistance to rocky and sharp surfaces whereas other lines could easily get cut. The most reliable, durable and entrenched brand of fishing lines is none the other but kastking super power. It is designed for both the beginner’s level and advanced level fishers, whose desire is to have best quality braided fishing line. The best braided fishing line in the market today is Kastking Super Power. It is extremely strong, made from polyethylene fiber. It’s durable and provides tremendous results and lasts for years. It’s affordable and cheaper as compare to other fishing lines. It has the least memory, and hence a line can be cast in a best possible way. When you are casting there is no repercussion, and it’s extremely user-friendly with no stretch at all. It provides the best operation and ultimate results. The polyethylene fiber is used in making of kastking, and it’s the same fiber used in making of bulletproof vests. It is the remarkable and incredible material, that is used for making these fishing lines, and its results are extraordinary. It has a superb resistance to abrasion and minimize the effects of absorption of water, and hence making it more durable. It goes smoothly on the reel which is the best thing especially once you are a beginner. These are thin almost invisible line yet very strong enough to perform its duty very well. It comes in different colors, sizes, and types. It comes in tensile strength starting from 10 to 150 pounds and is buildup from 4 high-quality fibers and 65 pounds to 150 pounds high tensile strength has eight high strength strands for better performance. It increases the tensile power and strength with increasing the number of strands making it more durable. 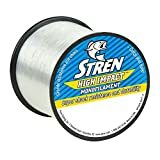 The eight high power strands have better casting and have a stronger knot. 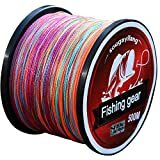 Best for all type of fishing, for instance, salt water, fresh water, surf fishing, trout fishing, ice fishing or bass fishing, etc. Choice of tensile strength depending on your need and option to select the color. Designed for both beginners and advanced level fishing lovers and professionals. Due to its thinness, it may not be visible in the water, though its strong enough, so it does not matter. Sunline Fluorocarbon Fishing Line presents up to date production of 100% fluorocarbon line. It’s a professional fishing line for expert fishing. It provides stronger fishing line best suitable for fishing jigs, worms, etc. Sunline Super FC Sniper Fluorocarbon has a triple resin coating. It is useful for re-lining reels, tying difficult knots and assembling long casts in stormy conditions. It’s best for bass anglers. Once the bait is hooked to the reel, there is no kink at the rod tip of Super FC Sniper Fluorocarbon line. 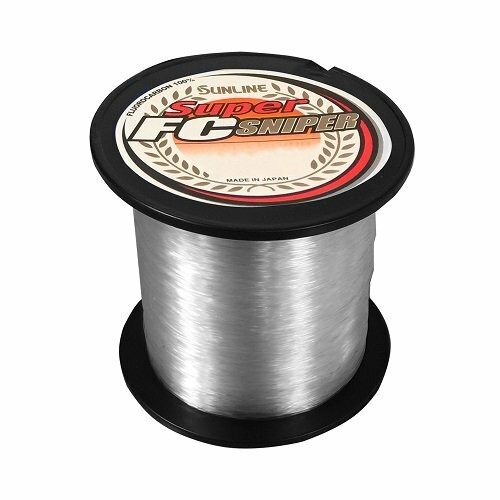 Casting is a major problem in fluorocarbon as it bends and tangles in the spool, but Super FC Sniper Fluorocarbon has managed to solve this issue by designing it in the way that it does not tangle and cast easily. The spinning gear result after 8-pound test shows that it’s extremely manageable. Fluorocarbon has comparatively less memory. It is likely to be straighter, which makes less line between the lure and the angler inside the water. Because of the low memory, it can create problems on rotating reels. It can jump off the reel. It sometimes bounces off the reel; it can’t cast without a backlash. It is one of the most annoying happenings in deep fishing. Fluorocarbon works best in clear water where fish are highly pressured. It’s less stretchable as compare to monofilament, making it more sensitive. 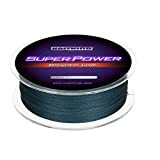 Spectra fiber braided fishing line by Power Pro has made fishing more interesting by proving efficiency and effectiveness in its operation. It has ultra-strong fibers which make it more sensitive. It has a thin diameter which makes it cast very easily. It is best for starter fishers, sport fishing contestants, or expert angler or as it provides best quality service. This fishing line works best in various environments and fishing situations like in clear water or aquatic vegetation etc. it won’t break once snag or once fish is retrieved because of its increased line strength. The braided Spectra fiber is, in fact, a tough fishing line that can easily handle the fish weight. 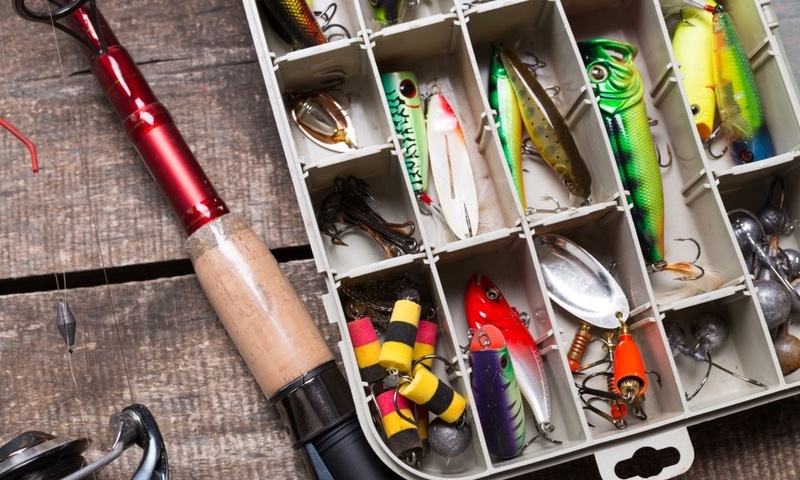 It lets you manage the flexibility of the weight of the fish that you reel in potentially. The braid is constructed in a way that ensures a no stretch setting and also disables the line breakage while reeling. It has a thin diameter that permits immense line capacity. This feature gives an edge in the fishing process as it provides greater efficiency of smaller and lighter reels. 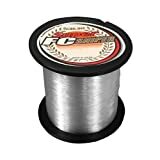 This fishing line is a hassle free process as it permits you to reel easily in the fish, its thin diameter helps you cast longer with each of your shot, which helps you to cover a major surface of the water, and hence chance of the catch increases. The Power Pro Braided Fishing line is manufactured and designed with the use of improved body technology that allows a sturdy line ultimate sensitivity. This results in smooth line management. 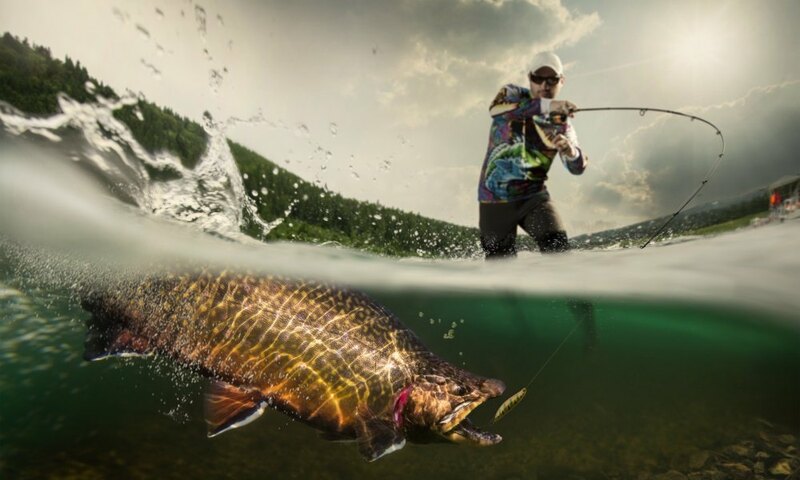 The fishing line sensitivity helps the anglers to catch successfully. The improved body technology helps in the prevention of water absorption, not letting it become heavy. 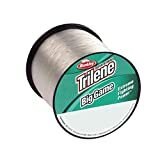 These fishing lines are slick which helps in the perfect knot, it also helps in maintaining a reel, and you won’t be needing heavier reels. Line sensitivity improves chances of catching the fish. Resistance to water absorption prevents the line heaviness. No stretch with ultimate longer cast. It’s not visible, mostly in low light situations. There is no stretch in it which sometimes create a problem. Untangle is challenging and is visible in the water. Ultracast invisi-braid superline by Spiderwire overcomes the major problem with braid fishing lines of high visibility. It spooks the fish, so you get minimum action. The Spiderwire Ultracast superline is the expensive fishing line. It gives the best performance and is of the highest quality. It’s length start from 125 yards to 2,800 yards. It has eight carrier braid which makes it more smoother. It is almost invisible and is translucent, so fish are unable to see it. Nylons, fluoropolymers, and High Molecular Weight Poly Ethylene fibers are used in making them, so that’s why these are not only durable but have best casting features as well. An innovative cold-fusion process is used in making this fishing line, so it makes the braids permanently bond together which increases its durability. 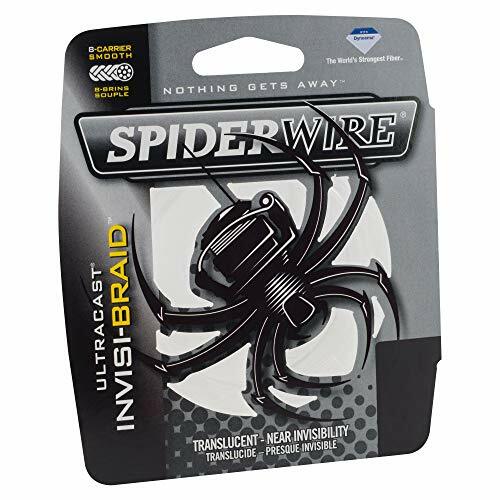 The Ultracast Invisi-Braid Superline is tremendous. Its strength is unbelievable. It is best for flipping and punching techniques. It is strong and can be easily for larger snook. Its super sensitivity is useful for snapper and different smaller fish. Its smoothness has many benefits, and it does not get tangle. It works truly well with a spinner. It helps in long accurate casts. It ties a knot very well. 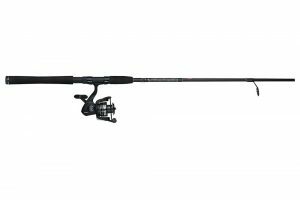 It’s ideal for catching large saltwater fish and freshwater fish. It’s durable for all weather conditions. It is much costly and expensive. It’s that much strong that if not handled properly may cut your hand. No stretch can cause problems sometimes. Seaguar company is recognized as one of the pioneers in the line of fluorocarbon fishing lines. 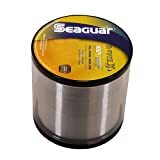 One great addition to the products by Seagur is the Seaguar Red Label Fluorocarbon 100 yards Fishing Line. This can be called the product people going fishing would love to use because of its features. 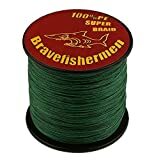 This fishing line can be used in both sea or salty water along with fresh water. It is invisible in water and resistant to corrosion along with is providing better knot strength. As it is available at an affordable price, so it has disproved the misconception that the fishing lines made of fluorocarbons are expensive. Knot strength is 30% improved in the Seaguar Fluorocarbon Fishing Line as compare to fluorocarbon fishing line. It has strength along with softness and sensitivity, and it has 100 percent fluorocarbon that makes it great for fishing in both saltwater and freshwater. It is almost undetectable to the fish so fish can be caught easily. 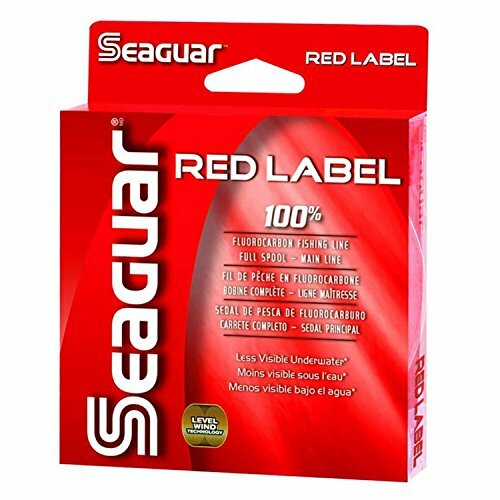 The Red Label Seaguar fishing line provides you sufficient casting yardage for fishing fun for hours. It is made of a unique material, and hence it is UV resistant and non-absorbent, it works well in all weather conditions. The red label fishing line is a long-lasting line for both professionals and recreational fishers. It helps in making the novice an expert. 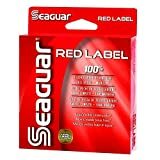 The Seaguar Red Label 100 percent Fluorocarbon Fishing Line is sturdy, but also soft and sensitive. It works well for both bait casting reels and spinning reels. It is appropriate for both clean water and salt water. It offers incredible impact strength. It is less noticeable underwater and is almost invisible to fish. Red Label is also UV resistant, element resistant, high-density, non-absorbent, and impermeable to the cold situation. It is manufactured from 100 percent Seaguar resins. Red Label Seaguar Fishing Line is clear. Durable for both professional and beginner fishers. Sometimes it curls around the tip of the rod.